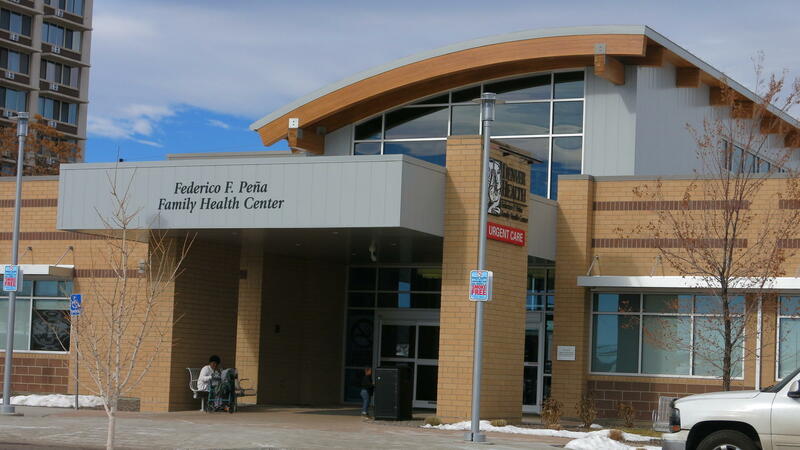 The Federico F. Peña Southwest Family Health Center opened in 2016 to serve a low-income community in Denver. The clinic and its parent system, Denver Health, have benefited financially from the Affordable Care Act and its expansion of Medicaid. Janice Harbin, CEO of Jordan Health in Rochester, N.Y. says section 330 grants have allowed Jordan Health to hire more health practitioners. The ACA was a game changer for these clinics. It has enabled them to get reimbursement for much more of the care they provided, because more of their patients now had private insurance or were on Medicaid. Revenue at many clinics went up overall, and many of the health centers used federal grants to expand their physical facilities and add services, such as dentistry, urgent care or mental health care. With repeal of the ACA looming, clinic directors tell Shots they stay up at night wondering what's next. We spoke with four, who all say their clinics are in a holding pattern as Congress debates the health law's future. Julie Hudman, the CEO of Saban Community Clinic in Los Angeles, Calif., says there's a lot at stake for her patients. "A lot of the folks that we see are single adults," she explains. "They're maybe more transitional. They're homeless patients. They have behavioral health challenges. They're really, to be honest, some of the most vulnerable and poorest patients of all." Before the ACA went into effect, eligibility for Medi-Cal (Medicaid in California) depended on a variety of factors, including income, household size, family status, disability and more. Under Obamacare, according to the California Department of Health Care Services, people can now qualify for Medi-Cal on the basis of income alone if their household makes less than 138 percent of the federal poverty level — that's $16,395 for an individual and $33,534 for a family of four. About three-quarters of the clinic's 18,000 patients were uninsured prior to the Affordable Care Act, says Hudman. They paid very little for treatment — maybe a copay of $5 or $10. About half of those patients qualified for Medicaid after the health law expanded eligibility, she says; Medicaid pays the clinic roughly $200 per patient visit. Increased money from Medi-Cal and from private insurance plans purchased under the ACA have made a big difference for the clinic's bottom line, Hudman says. Roughly half her revenue these days comes from insurance plans and the possibility of losing some of that money is forcing some hard decisions. She had been looking to lease or buy a fourth facility, she says, but now that plan is on hold, as are her hopes of expanding free help for the homeless. "I'm not willing to move forward and take some of those risks," she says. "I need to make sure that we're able to pay our bills and pay our staff." In the last few years, funding has been on the rise at Jordan Health, in Rochester, N.Y., and so has the extent of the clinic's services. The boost in funding has partly come from higher reimbursement rates the ACA authorizes and from the increased number of patients at the clinic who have insurance. But Jordan Health, which has 10 locations throughout the region, has also benefited from the federal government's pumping of more money into what are known as section 330 grants that enable expansion of services and facilities. The 330 grant money gives qualified clinics the option of offering services that aren't billable to insurance plans. At Jordan Health, the funds have enabled the hiring of some different types of health practitioners who were not previously part of the team — dietitians, behavioral health specialists and care coordinators. And that, in turn, says Janice Harbin, president and CEO of Jordan Health, means patients can increasingly get the different kinds of care they need in one place. Almost 90 percent of Jordan's patients are considered a racial or ethnic minority, and over 97 percent live at or below 200 percent of the federal poverty line, according to data gathered by the federal Health Resources & Services Administration. 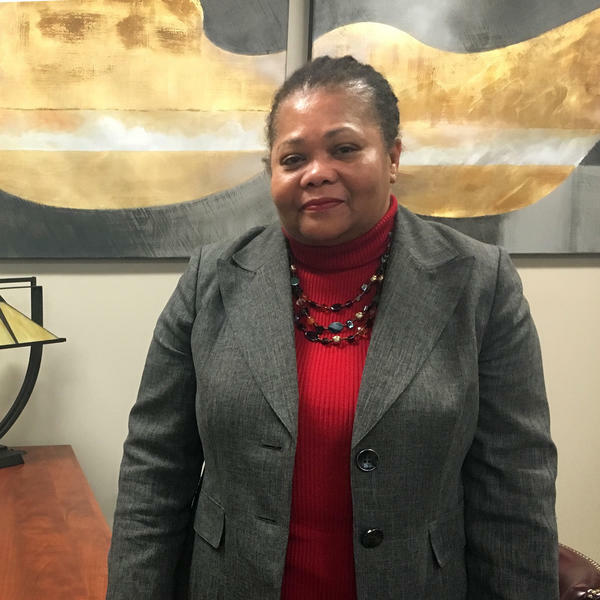 "When you're dealing with a situation of concentrated poverty," Harbin says, "your patient needs more than just 'OK, let me give you a checkup, and pat you on the back and say now go out and do all these things I told you to do.' "
Jordan Health received an increase of about $1 million since 2013, through the 330 grant expansion, according to its grant coordinator, Deborah Tschappat. Tschappat says she expects Jordan will get about the same annual award in 2017, assuming federal funding for the 330 program stays about the same. If federal funding is cut significantly, they would potentially lose some services. For now, Jordan Health plans to "expand services judiciously, while increasing efficiency and productivity," Tschappat says. In the coming months Harbin and her colleagues will be lobbying lawmakers in Albany and Washington, D.C., to renew Jordan's funding — including the 330 grant, which is set to end in September. Adelante Healthcare has been part of the health safety net in Phoenix for nearly four decades — when its doctors began helping farmworkers in the city's surrounding fields. But the Affordable Care Act enabled Adelante to expand like a brand new business. "Adelante has grown by 35 percent in the last 12 months," says Dr. Robert Babyar, Adelante's assistant chief medical officer. "We've increased our provider staffing — almost doubled our providers. And the number of services we provide has doubled." Most of their 70,000 patients are low-income and about half are covered by either Medicaid or KidsCare — Arizona's version of the Children Health Insurance Program (CHIP). In 2014, Arizona became one of the Republican-led states that expanded Medicaid under the ACA. That brought more than 400,000 people onto the state's Medicaid rolls and created big demand for Adelante. Low-income patients who did not have insurance before the expansion had relied on Adelante's sliding fee schedule. Much of that population now has health coverage, either through the marketplace or the state. "That opened up more options for our patients, more specialists they could see, procedures they could have done," Babyar says. As Congress moves to repeal and replace the health care law, Adelante is in a holding pattern. It has delayed the groundbreaking of a new site until later this year because of the uncertainty. A full repeal of the ACA — without a replacement that keeps its patients covered — would limit any future growth and strain the new staff and resources it has added. It wouldn't be the first time Adelante had to scale back its services because of changes to Medicaid. In 2010 and 2011, Arizona lawmakers froze enrollment for childless adults for Medicaid and for its CHIP program. Then, in 2012, Adelante lost more than a million dollars. Babyar says it has taken several years to get their new patients into the system and working with doctors consistently to manage their conditions. Denver's Federico F. Peña Southwest Family Health Center is part of Denver Health — the safety net system that takes care of low-income people. "Definitely this clinic has benefited from Obamacare," says Dr. Michael Russum, who practices family medicine for Denver Health and helps lead the clinic. "And this population has benefited from Obamacare by the expansion of Medicaid." That's what helped make the economics work as Denver Health put a new $26 million clinic in a high poverty neighborhood in 2016, says Dr. Simon Hambidge, Denver Health's CEO of Community Health Services. With the ACA in place, he says, the health system was able to count on the new clinic having a population of paying patients with insurance that could help support it. Hambidge predicts the hospital will weather the storm if Obamacare is repealed and there are serious cuts to safety net programs, like Medicaid and Medicare, as some Republicans have suggested. But it will probably be harder to open new clinics in other high-need neighborhoods, he concedes. Many health clinics that serve low-income patients expanded under the Affordable Care Act. More of their patients got insurance. And the law designated special funds for them. Now, the future of the law is uncertain. And so we've been talking with leaders at two of those clinics about the future. Colorado Public Radio's John Daley starts us off in Denver. JOHN DALEY, BYLINE: The Affordable Care Act changed the equation for hundreds of thousands of Coloradans, folks like Carolyn Goodrich. She's visiting her doctor at Denver Health's Pena Family Health Center. UNIDENTIFIED DOCTOR: What concerns do you have today? CAROLYN GOODRICH: Just coming in for my diabetic checkup. DALEY: Goodrich now gets insurance through her job as a pharmacy tech. But a few years ago, when she was uninsured, Goodrich discovered she qualified for Medicaid. She was one of roughly 300,000 people who signed up when Medicaid expanded in Colorado. GOODRICH: It was a great help to me 'cause it was something that I could afford. When I was on the Medicaid, I had nothing but good care. DALEY: People like Goodrich have a lot at stake as Republicans try to repeal and replace Obamacare. The same could be said for the clinics she's visiting. The Pena clinic is brand new. It's part of Denver Health, which is a safety net hospital. It provides services to all, whether they can pay or not. A few years ago, about 40 percent of Denver Health's patients were uninsured. Now, it's half that. MIKE RUSSUM: Right on the other side of X-ray is Urgent Care. DALEY: Dr. Mike Russum practices family medicine and helps lead the clinic in this predominantly low-income and Hispanic neighborhood. Russum says when the clinic opened in April, it became more convenient than going to Denver Health's main facility downtown. RUSSUM: It's really a good location for patients to be able to access. Patients don't have to go to the hospital anymore. DALEY: And many more of these patients now come with insurance, so the hospital gets paid for taking care of them. Dr. Simon Hambidge is Denver Health's CEO of Community Health Services. He says the clinic has 40 exam rooms, urgent care, a pharmacy, a dental clinic and other services. SIMON HAMBIDGE: The ACA made it possible for us to feel stable enough that we could invest in a new clinic like this. DALEY: Hambidge predicts the hospital will weather the storm if Obamacare is repealed. But he concedes, it'd probably be harder to grow. For NPR News, I'm John Daley in Denver. KAREN SHAKERDGE, BYLINE: And I'm Karen Shakerdge in Rochester, N.Y. Jordan Health first opened its doors in 1968. It's one of the first community health centers in the country. Today, it has 10 locations and serves over 30,000 patients a year. As part of the ACA, Jordan Health received an increase of about a million dollars since 2013 through something called a Section 330 grant. Dr. Janice Harbin is Jordan Health's president and CEO. JANICE HARBIN: The number of folks that we now have added to the team to try to make sure that our patient is healthier has been a major. When you're dealing with a situation with concentrated poverty, your patient needs more than just, OK, let me give you a checkup and pat you on the back and say, now go out and do all these things I told you to do. SHAKERDGE: The 330 grant money also gives health centers the opportunity to offer services that insurance doesn't usually reimburse. Jordan Health hired a dietitian, behavioral health specialists and care coordinators. HARBIN: What happens when that support goes away? SHAKERDGE: Over the next few months, Harbin and her colleagues will be lobbying lawmakers to keep the funding which is set to end in September. HARBIN: We're used to doing a lot with a little. But we increasingly know that we do need that financial support. And that's keeping us up at night. SHAKERDGE: For now, Jordan Health is moving forward, but being judicious with its budget at the same time. For NPR News, I'm Karen Shakerdge in Rochester. INSKEEP: Those stories are part of a partnership with NPR member stations and Kaiser Health News. Transcript provided by NPR, Copyright NPR.